Holding with the highest regard your security and ‘peace of mind’ when travelling, we’ve prepared this detailed outline of the Booking Terms and Conditions. Please take the time to familiarize yourself with the provisions below before your booking, as your acceptance of these terms and conditions will enable us to authorize and execute your booking. Order – an electronic document (form), which is the only means of making Reservations. 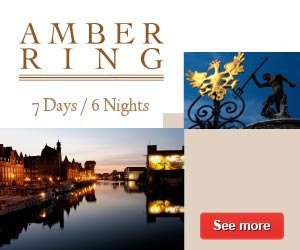 Booking – an accepted and confirmed by the Operator Order of requested services (for example an overnight hotel stay). Client – A visitor to Hotel who pays for accommodations, meals or other services and uses the Reservation System of Netmedia S.A. to make the Booking. Operator – NETMEDIA S.A., Warsaw Stock Exchange Company with its headquarters located on 15 Woronicza Street, 02-625 Warsaw, Poland. Voucher – an electronic document sent by the Operator to the Client confirming the booking. The Voucher should be presented at the Hotel as proof of purchase of accommodation. 1. The subject agreement defines the terms and conditions under which Operator provides the Client with Booking services of overnight stays and other services in Hotels. 1. The purchase of overnight accommodation or other tourism services is executed by means of the completion and dispatch of Order. 2. The client is obligated to complete the Order form correctly. Operator does not take any responsibility for the negative after effects resulting from the incorrect completion of the Order form by the Client. 3. It is the responsibility of the Client to verify whether the Voucher, confirmation of the services booked, was received successfully. In the case when this document is not received, Operator must be informed of this fact as soon as possible by the Client. 4. Operator does not guarantee a successful delivery of the reservation confirmation document and does not take responsibility for the negative after effects resulting from a missing Voucher during the stay of the Client at the hotel. 1. 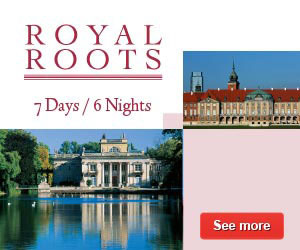 The exhibited prices on www.travelpoland.com are per room, apartment, or other accommodation, per night. All prices include VAT taxes. 2. The exhibited prices include Hotel breakfast, unless explicitly stated. In the case where breakfast is not offered in the price, the Client will be informed of this fact during the reservation process. 3. The Client accepts that the exhibited prices are subject to change within prior notice. Operator will confirm the actual price during the booking process and will provided it on Voucher (reservation confirmation document). The Operator does not charge any additional fees for acting as an intermediate in the reservation of overnight accommodation as well as other ordered services. The only legally binding unit of currency for payments is the Polish Zloty (PLN). The exhibited prices in foreign currencies (EURO, USD, GBP) are approximations, converted according to the daily average currency exchange bank rate. There can be minor differences in the final price charged due to differences in the exchange rate used by the credit card authorization centre or Client bank. There are many forms of payment such as: credit card and bank transfer. 1. The Booking price is automatically authorized once the Client has completed and successfully submitted the Order. Authorizations are executed by eCard – an authorized credit card centre utilizing an encoded, secure connection. Operator reserves the right to block the authorized funds until the Order confirmation, up to 7 working days from the time of their authorization. 2. The Clients Credit Card is debited at the moment of Reservation confirmation by the Operator. 3. The Operator has the right to reject the Order in case if/when the Clients credit card funds are insufficient to cover the costs of the ordered services or the credit card vendor rejects the transaction operation. 1. Operator must receive complete payment within 3 working days before the date of the first night stay. 2. If payment is not received 3 working days before the date of the first night stay, the Operator has the right to terminate Order. (IBAN) PL90 1500 1878 1218 7006 4975 0000 (BIC) KRDBPLPW. 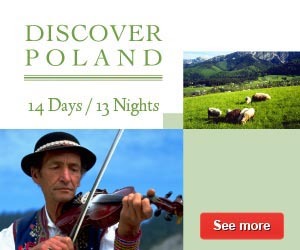 In the case of making a Booking with this form of payment the Client is not obligated to make payment via www.travelpoland.com. The booking will be made free of charge at the Hotel chosen by the Client. The booking is guaranteed until the specified time listed on the confirmation email/voucher. Payment for the service ordered takes place directly at the Hotel by the client. An Invoice for the rendered services is issued by the Hotel. In the case where a late arrival is possible please contact the Hotel directly before the deadline listed on the confirmation email/voucher. We also urge the Client to advise the hotel if the booked accommodation will not be rendered by the Client. ATTENTION: The booking will automatically the cancelled at the moment of a no show at the Hotel at the listed time on the confirmation email/voucher. In the case of making a Booking with the form of payment the Client is obligated to provide the Clients credit card details in order to make a guarantee by the Hotel of the booking. The credit card information will be sent to the Hotel, where the booking was made. The Operator will not charge the Clients credit card and is not the issuer of the Invoice. In order to ensure your booking the Hotel may pre-authorize the card or charge it for the correct amount. Pre-authorisation of the card means that the Hotel may check and charge the card until the realisation of the transaction. Pre-authorisation or a charge of the credit card may be in the amount of the first day stay at the Hotel or for the whole amount of the stay at the Hotel. The charged amount is equal to the amount of the services ordered. The Booking at the Hotel is guaranteed for the entire day. In the case of a delayed Booking cancelation or a no show of the Client at the Hotel, the Hotel may charge the Client for the entire amount of the Hotel stay as listed on the confirmation email/voucher. 1. Operator will issue to the Client a VAT invoice according to the goods and services tax bill of Poland within 7 days of the conclusion of the service at the Hotel. 2. If the Client incorrectly provides invoice data, the Operator will not be able to make changes to the VAT invoice after a 7 day period from the conclusion of the service. Any additional services exploited by the Client at the Hotel or at another entity (for example parking, laundromat facilities, cable television, mini-bar, climate taxes and others) not booked through the Operator, will be the sole responsibility of the Client and some maybe payable on site at the Hotel. 1. ON-LINE Reservation – services are accessible in real-time (online), in which case Operator instantly confirms Reservation and sends the Client the Voucher to the indicated by the Client e-mail address. 2. ON-REQUEST Services – services are accessible on-request (available off-line), in which case Operator checks availability of services at the hotel or other entity and has 24 hours (during workdays) and 48 hours (during non-workdays) to confirm Reservation, from the moment the Order was completed by the Client. 3. For successful and fully paid Reservations the Client, along with Order confirmation, also receives Voucher which is an essential document to be presented at the Hotel or other entity to ensure proper services. 4. In the case where a booking was made using the traditional bank transfer payment option, the Operator will send the Client the confirmation email/voucher only after confirming that the amount of the service ordered has been account for on the specified bank account of the Operator. 1. 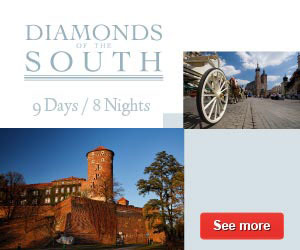 Any modifications or cancellations of a Booking must be performed using the electronic form accessible in the Reservation System www.travelpoland.com, via telephone or email. 2. Any changes or cancellation made by the Client need to be verified and confirmed by Operator in writing. 3. If no restrictions apply the Operator will modify or cancel the Booking without any additional costs to the Client. a) No charges apply for cancellations or modifications of a Booking if made at least 72 hours before the day of the service commencement. b) Charges equal to 100% of the cost of the first night stay apply for cancellations or modifications of a Booking if made less than 72 hours before the day of the service commencement. c) Charges equal to 100% of the cost of the full stay apply for “no shows” or if the Client does not inform the operator of a cancellation or modification of the Booking. 5. For properly made cancellation of the Booking the Operator will reimburse the Client the full amount charged, minus any cancellation costs resulting from a particular offer or the general Booking Terms and Conditions. Operator does not take responsibility for the currency exchange rate costs. 1. If the originally Booked services are for whatever reasons unattainable, the Operator will try to the best of its ability, to provide the Client with as similar as possible in price, standard and duration alternative services. If the Client rejects the alternative proposition of a similar service Operator will reimburse the Client the full amount charged. 2. In any event total Operators liability is limited to the amount that the Client was charged for Hotel services while making a Booking through the Reservation System. After that amount is reimbursement to the Client, the Operator is free of any additional claims of action by the Client. 3. The Operator takes great care to present “up to date” and accurate information in the Reservation System. a) The Operator does not take any responsibility for any damages suffered by the Client at the hands of the Hotel staff. b) The Operator can not be held responsible for incorrect information provided by the Hotel itself listed on the Reservation System. c) The Operator does not take responsibility for liabilities resulting from ‘no vacancies’ at the Hotel which for example can occur when the Hotel sells more accommodation than it actually holds. d) Operator does not take any responsibility for any inconvenience or unpleasant occurrence at the hotel that result for example from renovation of heating systems, inaccessibility to recreational services, pool renovation, a water or power shortage and any other similar occurrences. e) Operator can not be held liable in crisis situations beyond Operators control, such as, natural disasters, strikes, wars, biohazards, etc, where the realization of the Reservation is impossible, in which case Operator is released from any responsibility to fulfil Reservation obligations and does not partake in any consequences regarding the legal binding of these Terms and Conditions. 1. Any complaints associated with the services rendered by the Hotel should be filed by the Client directly with the Hotel prior to or at the time of departure or at the latest within 48 hours after the completion of the service. 2. If the Client approaches the Operator for whatever reason with a complaint about the services rendered by the Hotel, Operator shall confer the complaint with the Hotel with the objective of ensuring that the complaint is dealt within a 14 day period from the date of receiving the notice. The data collected by Operator when the Client makes a booking through the website, such as Name, telephone and fax numbers, email address and Invoice details is used to process a booking and to notify the Client about Booking details by email or fax. As a members of the Reservation System the Client will occasionally receive updates from Operator about special offers, new services, and other noteworthy news items. However, the Client may always decline to receive these email and fax messages. The Client who make a booking through the Operators system automatically accepts the Booking conditions and is fully aware of its contents and regulations. 1. The User Agreement was created under the strict guidelines of Polish law. The Polish internal laws, without regard to the principles of conflicts of laws, will govern this agreement and any dispute of any kind that arises between the Client and the Operator. 2. In the case of where one point of the Agreement is invalid, this does not affect the remaining points of the Booking condition. 3. The Operator reserves the right to change the Booking conditions at any time with out prior notice.